A young man travels to New York with a big basket containing his deformed twin brother, in an attempt to take revenge upon the doctors who separated them years before. 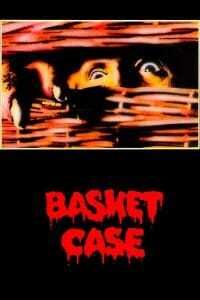 Basket Case is one of these movie that I watched quite late. Since it is a classic from the 80’s, it has been on my watchlist since forever, but for some reason (maybe the unappealing poster, or the feeling that it will be some cheap and boring 80s creature movie like Trolls or Ghoulies). How wrong was I!!! Basket Case is awesome on so many levels! First of all the story is actually interesting. This young guy comes to New York with his brother in a basket. His motivations are unknown which starts the story on a mysterious note. Not seeing the creature for the first third of the movie is also frustrating in a good way, it keeps the audience on edge until things get serious. When the creature appear is when Basket Case starts to get really weird. Today, watching this plastic monster is funnier than scary, and yet, I couldn’t get my eyes off his strangely twisted body. The stop motion effects are funny to watch, yet every scene featuring the creature is a delight. There is little bit of gore, but most of it is not shown. Instead, one of the interesting aspect of Basket Case lies in the sound effects, over-exaggerated and really disturbing sometimes. They play a huge part in making the horror scenes really fun to watch. Behind all the silly aspect, one could even argue that Basket Case is actually pretty deep. The psychological battle between the two brothers is a fascinating topic that will be the strength of the Basket Case trilogy. 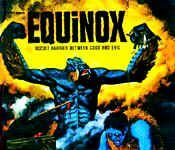 As for the end, it is absolutely crazy and unexpected, making the movie a hell of a lot better than the average small creature horror. Since I saw it, I cannot help but warmly recommend it to anyone.